Hello Sheree, my name is Andrew. I used to have very thick dark Asian hair which i inherited from my mother/grandmothers side, where hair loss is pretty much non existent, my grandmother never even went grey. Unfortunately my current hair condition is extremely pathetic and depressing compared to when I was a young teenager. 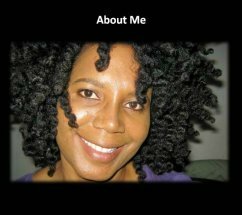 When I had all of my hair I never learned to appreciate it. I just took it for granted. Now a huge amount of it is gone, including the messed up hairline. I regret not taking better care of myself. It's only now that I lost so much of it that I truly have started to appreciate it, though i fear it may not be possible to regrow all of it, especially the one thick hairline. 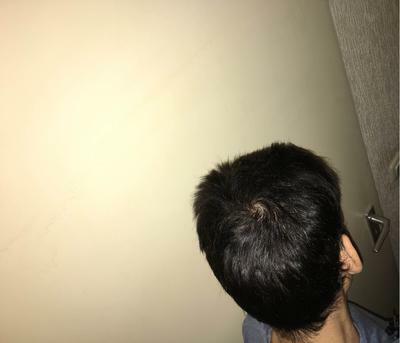 My left side of the hairline used to be a diagonal line downwards, and the right side used to be a straight line, both of them are badly receded now, to what I would guess is a nw0.7-nw1. Anyway I have been following the hair loss diet for about two months now, and areas like my crown and hairline have well improved but are still bad. 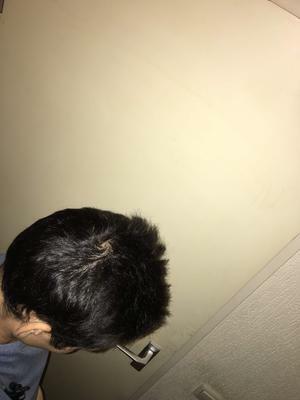 I am starting to see a lot of small baby/fine thin hairs on my temples (corners) where it receded. 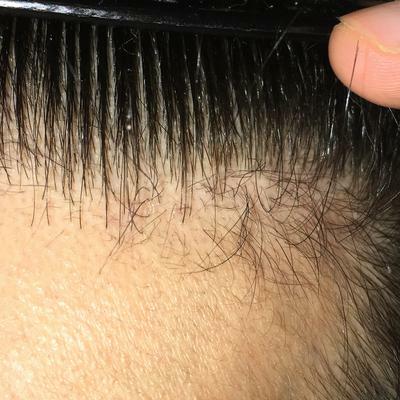 Are these just miniaturized hairs or are those hair follicles slowly starting to become active again? I can see them pretty well when I shine a bright light on those areas. 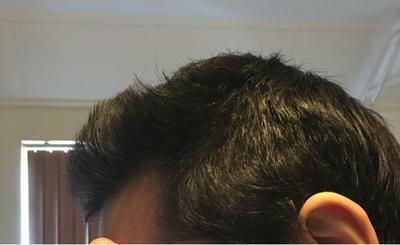 The center part of my frontal hairline is also very thin and looks horrible. I also noticed that the left side appears to grow back faster, but i could be wrong. Before i started to follow this hair loss diet, pretty much ate every unhealthy, bad food you can think of, and none of the healthy ones. I had also been dealing with a very large amount of stress which i guess made my hair loss even worse. Fish (wild caught), spinach leaves, broccoli, onions, brown rice, carrots, peas, black/red kidney beans/brown beans,cucumbers, and sometimes cauliflower and small bags of several different kinds of vegetables. I have attached some photo's of my hair condition. I would like to hear your input on my situation. Your Hair is Growing Back! You asked if the small hairs that are growing back are new hairs. Yes, absolutely they are new hairs. The hair rarely grows back thick all at once. Most of the time it comes in fine, gradually, imperceptibly. It's so slow that sometimes people don't realize it's growing back until they look at a picture. Judging from the pictures you posted, you will have no problem with full hair recovery. I've seen cases far more advanced than this completely reverse. Stay on the diet no matter what happens. Whatever stress comes into your life, stay on the diet. If you're in a hospital, traveling, moving about, working, no matter what, stay on the diet. And within several more months, that new hair you're seeing will get thicker. It's weird, because you just kind of have to stay on the diet, and then forget about the hair loss. I know that's hard to do, but it's the easiest way. If you focus on the hair loss in a depressed state of mind, you will make it worse. So when you look in the mirror the next time, smile. Because around this time next year, you'll be blown away by your regrowth results. So hang in there, and hold your head high. You're going to make it. You can do this. Please send more pictures when you see more new growth. And I will be delighted to post them. I want to ask something. I follow this diet 2.5 years, and I really saw the many benefits. I drink green smoothie, ingredients: spinach, cucumber, lemon juice and water. I use when preparing blender. Do you mind if I drink it? Thanks. raise your blood sugar. Just make sure you're eating whole vegetables along with it, and you'll be fine. An appetizer of ajvar Balkans: ingredients: eggplant, red pepper, tomato, onion, garlic. We cook all the ingredients, and then we're cutting with blender all materials. Is that food that raises blood sugar? The appetizer of ajvar balkans with eggplant, red pepper, tomato, onion, garlic that you described can be eaten in a blender. Please make absolutely certain that you do not eat all of your meals this way. Because ideally, your food should be eaten in its whole state. But if you eat this, it will not cause hair loss. So you're definitely fine. Andrew's Exciting Hair Regrowth Update! Here is an update on my current hair condition. I have included several photo's. 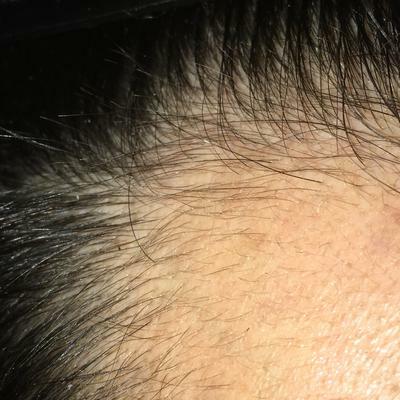 I have also noticed even more thicker/longer hairs appearing at the sides/temples, and it appears that the left side is somewhat growing back faster than the right side. Though at certain times of the day my hair feels much weaker and thinner than at other times, I'm not sure why that is, i'm guessing it's still inflammation that my body has still not been able to get rid of. My guess is that it will probably take me another 20 months or so to see the regrowth that i am hoping for, might take even a bit longer than that though if i'm being realistic. But I am being hopeful that throughout 2017 my hair regrowth will truly kick in. In the beginning it was very hard to keep the diet up with all the unhealthy trash foods and drinks around me that other people still eat/drink, and the fact that most people just laugh at the idea that hair loss is an hormone/lack of nutrition and inflammation issue (bad foods and drinks) has not made it any easier either. But I know I would have gone bald eventually if I did not dramatically change my lifestyle. 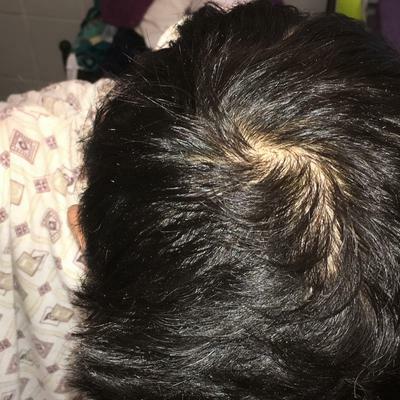 Most people don't take it very seriously, and they assume that any type of hair loss cannot be stopped or reversed ,and that it's just your fate if it happens to you, though the evidence i have personally witnessed on myself has told me otherwise. But anyway, i have managed to keep myself on the diet and avoid any of the hair loss causing foods and drinks up until now. I only drink clean water now just to make sure. I also noticed that I am feeling a lot healthier already and my skin seems to look better as well, and my thinking capability has without a doubt improved as well. Even certain small pains have mostly already disappeared, and I am feeling much happier for some reason. I have lost quite a bit weight, which everyone has noticed. I am now stuck at around 60kg and don't appear to be gaining weight. Anyway, I will keep sending you updates for at least the next 20/23 months or so until my hair has grown back. Comments for Andrew's Exciting Hair Regrowth Update! Thank you so much for your story and your pictures! Congratulations!! You are doing great! The joy I feel for you is just indescribable. The road to thick hair recovery is long and difficult. I can see that you understand that it will take many months for your hair to grow completely back. I am so happy that you sent these pictures and your wonderful story. You will help to inspire thousands of boys and men that read your story. Hair recovery has to be earned, and you've earned it. I'm just beyond excited, and I'm so blown away by your success. As your hair continues to grow back, please update us again. I'm waiting excitedly for your next pictures and update. Once again, congratulations! You deserve this! How is your progress my friend?